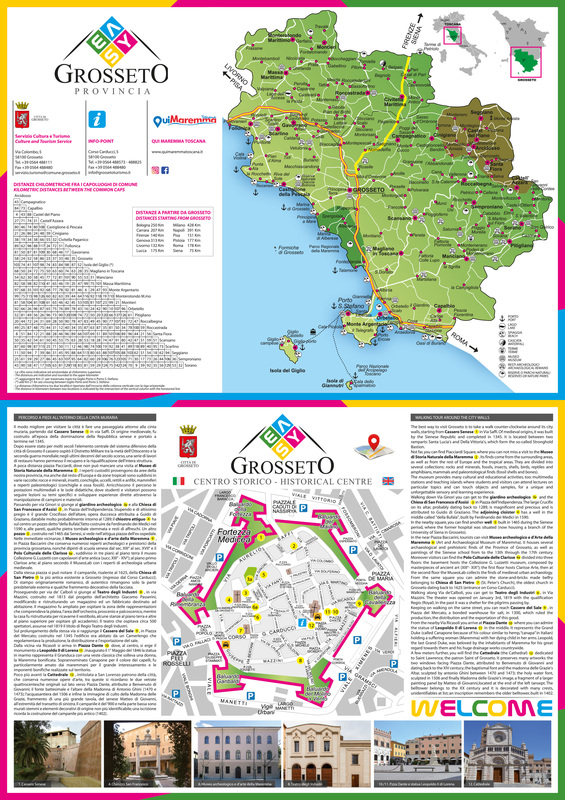 Stretching over 100 kilometres, Grosseto’s coastline presents numerous seaside resorts. A crystalline sea and accommodation services in tune with nature and tradition are the ingredients of an unforgettable experience in the Maremma. One of the cleanest seas in Italy, it unfurls before its coasts enshrining little gems like the islands of Giglio and Giannutri. Giglio island, the second largest island in the Tuscan Archipelago, famous for its limpid waters, is universally recognized as a small but immense paradise for its natural beauties. Its name, from the Greek “aegilion”, meaning “goat island”, very likely derives from its rugged, mountainous territory consisting almost entirely of granite, rich in cliffs suited to rock-climbing animals. The Island of Giannutri is blanketed in large part by macchia mediterranea and ginepreti. Not far from the Cala Maestra bay lie the ruins of a Roman villa from the II secolo A.D., currently undergoing restoration, as well as the remains of a dock from Roman times. From north to south, from the gulf of Follonica to the coast of Capalbio, through the Monte Argentario promontory, the coasts of the Maremma Regional Park and the splendid Castiglione della Pescaia, the possibilities offered by the sea of Maremma are endless. This is the Maremma that looks onto waters awarded Bandiera Blu certification [issued by the FEE, the international Foundation for Environmental Education] in various localities, along with other awards and acknowledgements. Its coasts unfold never the same, never monotonous, always ready to amaze those who choose them as their destination. Thanks to the Maremma’s broad sandy beaches and pine forests, its seaside is suited to the needs of families, offering peaceful and natural relaxation. Those who choose a sea holiday here know they will find fully-equipped beaches and an uncontaminated sea. Marina di Grosseto and Principina a Mare are tourist locations famous for their wide sandy shores overlooking the Tyrrhenian sea, and for the vast pine forests that frame them. For those arriving from the sea, Maremma’s coasts offer modern, well-equipped docks, from the port of Scarlino to Punta Ala and, continuing southward, the ports of Castiglione della Pescaia, Marina di Grosseto, Talamone, and those of Monte Argentario (Porto Santo Stefano and Port’Ecole).